Carp's Corner: Here we go again! The phrase "It's never boring supporting Palace" is one we are all very familiar with from supporting the Eagles. I can't think of anything else more appropriate to sum up what it means to support Crystal Palace. In the last two seasons we have narrowly avoided relegation twice, come through administration, had three different managers and have seen new owners take control of the club. Not much for this season to live up to then. However, there is no reason to suggest that the forthcoming campaign won't be as exciting as those before it - but for the right reasons. As football fans, you could say we have been made to suffer in the last two seasons, watching the team struggle on the pitch while CPFC2010 worked tirelessly to clean up the mess left by our previous owner. Although the bookies believe we are in for much of the same this season, I believe there are many reasons for Palace fans to be optimistic about the new campaign. In what was has been his first summer as Palace manager, Dougie Freedman has made some shrewd signings to fill the gaps left by those who have left the club. The departure of Neil Danns to Leicester was one which split the views of the Palace faithful with some claiming that he owed another season to the club for sticking by him through an injury prone first year in South London. However, most Palace fans would agree that Danns has been one of our most influential players in the past two seasons, and would not begrudge him his move to what appears to be an exciting project at Leicester City. Perhaps the most telling reaction to Danns' departure came from Palace Chairman Steve Parish on Twitter, who stated that "One brick doesn't make a castle". Indeed, no player is bigger than the club, and Freedman has acted quickly to strengthen the midfield with the additions of Mile Jedinak and Kagisho Dikgacoi - both of whom have international experience. After his loan spell last season, we are already aware of what KG will offer to the side, but it will be interesting to see what role Freedman has in mind for twenty-six year old Jedinak. Football is a simple game. You score more than the opposition and you win. One of the significant reasons that Palace have struggled in the past few seasons is their inability to score enough goals due to the absence of a twenty goal a season centre forward. James Vaughan showed last season the quality of striker you need in this league to succeed. However, with our hopes of signing him dashed by the lure of Premiership football at Norwich City, Freedman has been forced to focus his attention on other targets. 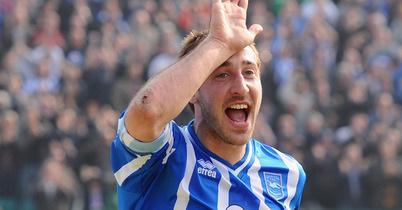 Securing the early signature of former Brighton striker Glenn Murray on a free transfer was an excellent piece of business. Having scored twenty two goals in League One last season, Murray will be hoping that under the guidance of Freedman, he can recreate the same kind of form in The Championship. Palace Manager Freedman described Murray as "a very good player who is intelligent, holds the ball up well and brings other people into play". Not only that, but Murray is a natural born finisher as well, which is the type of attribute that has been lacking from Palace strikers in recent years. Freedman has made no secret of his desire to bring in another striker. However, with very few Championship standard centre forwards available for a bargain, it may give those waiting in the wings a chance to stand up and be counted. Jermaine Easter will be hoping that Freedman gives him a more sustained run in the starting line up than he did during last season, while youngsters Sean Scannell and Wilfried Zaha will be looking to make their mark in the first team after showing some promising signs during the Pre-Season fixtures. This season may even see a return to the first team scene for a certain Calvin Andrew. Sent out on loan on two occasions last season, Andrew has been heavily involved in The Eagles Pre-Season campaign and looks set to play some sort of role within the first team squad. Palace owed much of their survival in the Championship last time around to their back four. The run of eight successive home clean sheets enabled Palace to steer clear of relegation and it will be important for the defence to be just as conservative this time around. However, the early summer departures of Claude Davis and Adam Barrett meant that skipper Paddy McCarthy was the only recognised centre back left at the club. Freedman has brought in several loanees in the form of Peter Ramage, Andrew Davies and Aleksander Tunchev, all of whom are capable of forming a strong partnership with McCarthy at the heart of the defence. Rumours that Nathanial Clyne has broken his foot will be a huge blow for Freedman, and coupled with the early season suspension of left back Dean Moxey has forced the Palace manager to bring in Ryan McGivern on loan from Man City as cover. Meanwhile, the signing of twenty two year old Jonathan Parr from Norweigan side Aalesund is one which will excite the Palace faithful. 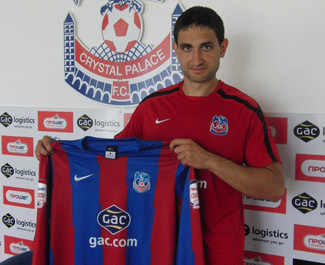 Having fought off interest from a number of clubs for his signature, Freedman will be hoping that the promising Noweigan international can discover his potential at Selhurst Park. Parr, who can play at left back or left wing, will add further strength in depth to Freedman's squad which may even see Dean Moxey moved into midfield. Towards the back end of last season, Palace fans often found themselves frustrated with the negative tactics employed by Dougie Freedman. The tactics were, however, adapted to the situation that the club found itself in and in the end brought about the desired results. Having now had the chance to work his way into the job and having the bonus of starting on a level playing field with the other teams in the division, Freedman will have been able to implement a style of play he feels will bring about success. 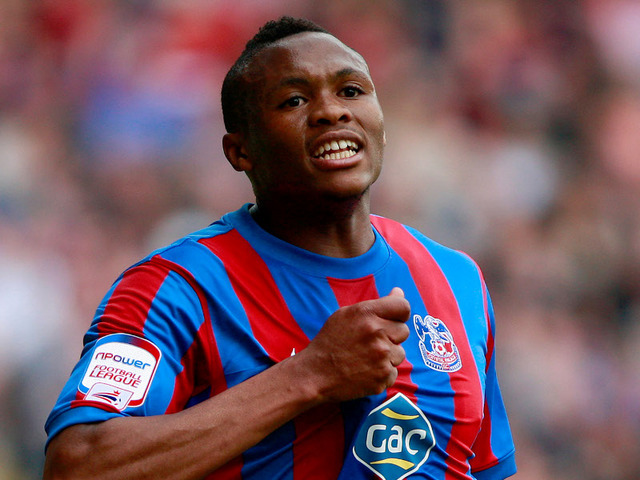 Palace have the players capable of producing a fast and exciting style of football. The attacking mentality of full backs Dean Moxey and Nathanial Clyne enables us to start putting the opposition under pressure from defence. This paired with skilful wingers such as Zaha and Scannell up top we should be a handful attacking down the flanks, and in theory will be able to get a good supply to Glenn Murray. It would be nice to see Darren Ambrose played in his preferred position of attacking midfield, where he can play just behind Murray and pick up any loose balls. We all know the form that Ambrose can produce, and it would be a bonus if he could rediscover the scoring touch he had during his first season at SE25 having returned to full fitness over the summer. For me, this season is about Palace establishing ourselves as a team capable of pushing for the playoffs next season. It would be foolish to aim below promotion this season, but a realistic aim would be to force our way into the top half of the table. Freedman needs to build a squad which has the right blend of youth and experience which will be able to compete at the top of the Championship in the future. I agree with his transfer policy of not wanting to overspend and believe that if he can get the squad to perform to their full potential we will avoid the struggles of the previous two seasons. It came as no surprise to hear that Palace have sold out the away allocation for the first game at Peterborough and if we continue to back the team, management and owners, we could surprise a few doubters by having a very successful season.